Many designs lend themselves to playful use of fabrics. “Bugs” and flower power were all the rage in the 70s and are both iconic of that time……..and a bit nostalgic for me. 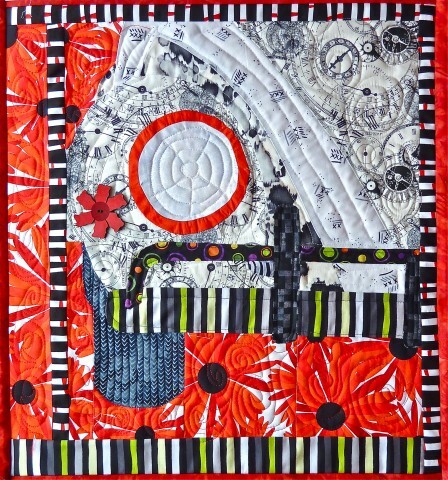 Based on the same pattern as “VW Beetle”, the black/white clock fabric and the big bold daisies turn this VW into a “time machine” transporting us back to another era…….